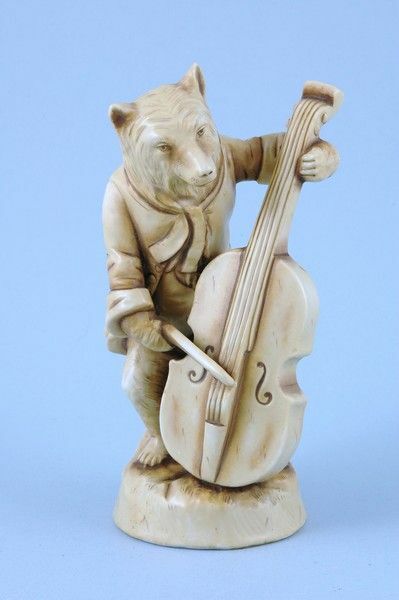 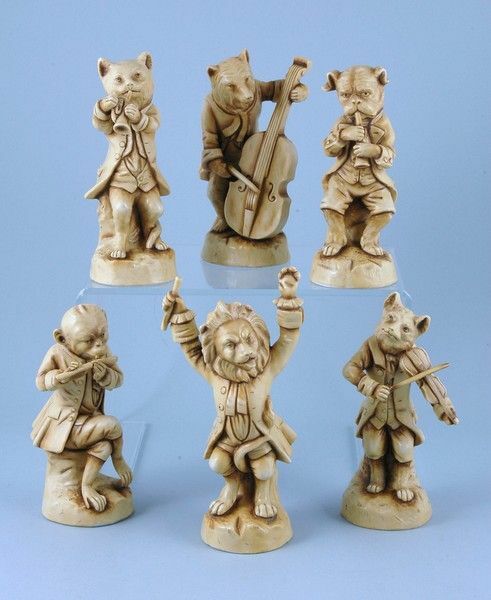 Unusual Set of 6 ‘Dresden’ Animal Musician Figures. 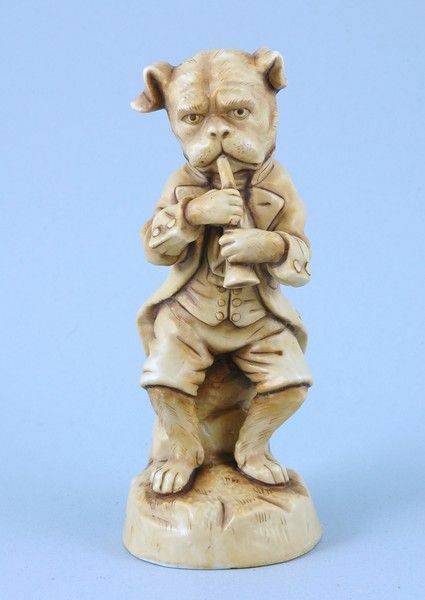 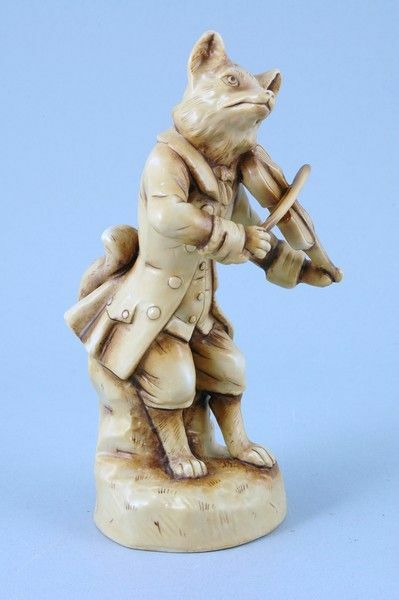 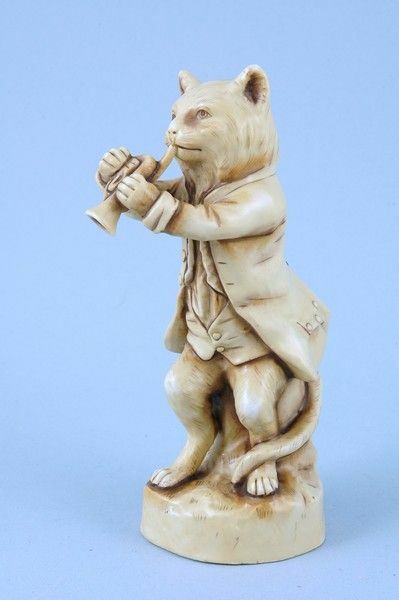 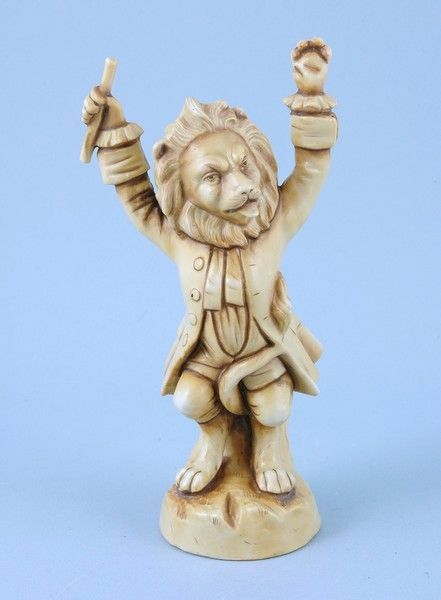 An unusual and amusing set of 6 Dresden porcelain figures of Animal Musicians, each decorated with an ivory coloured wash with gilding. 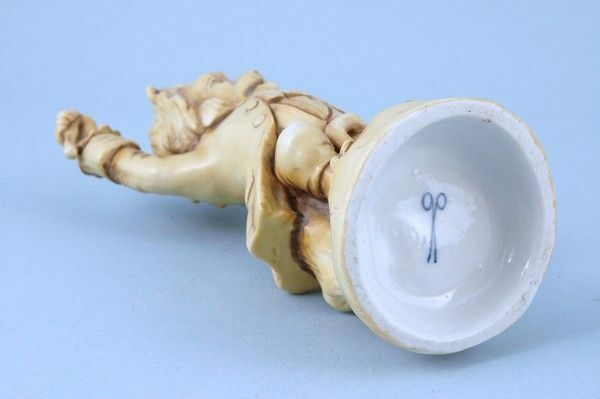 ‘Scissors’ marks in underglaze blue. 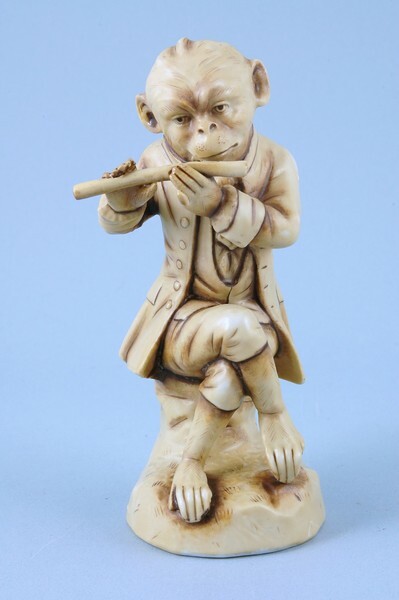 Monkey : End of flute,thumb and chip on one ear. 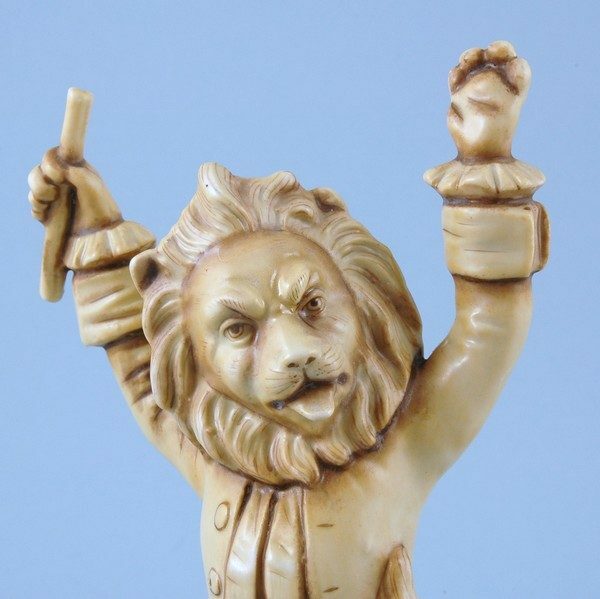 The other three figures are in perfect condition. 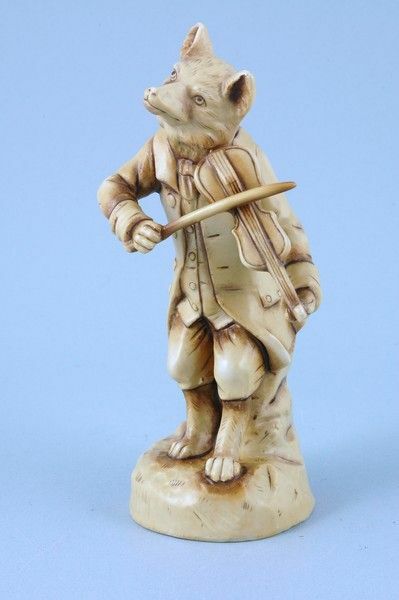 P&P: UK:£8.50, Europe £17, Worldwide £22.